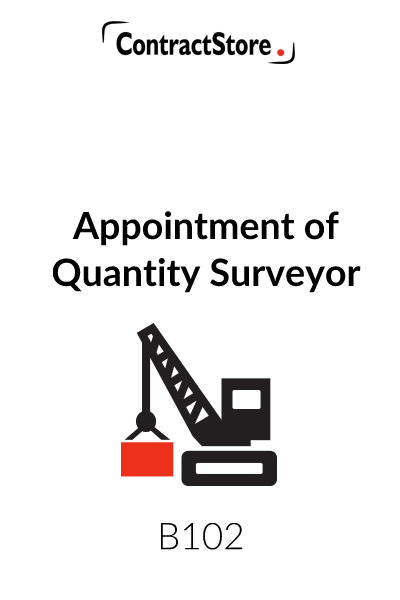 This Quantity Surveyor Appointment is written from the professional’s point of view but is fairly balanced and is an easy document for clients to understand. Written in plain English, it can also be used by an Estimator or Project Manager. 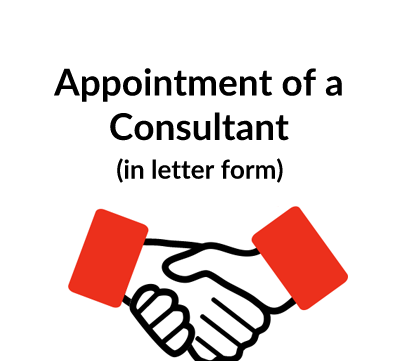 The Appointment comprises a short one page letter template plus 3 pages of Terms & Conditions and two Schedules, one for services the other for fees. There is also a small print version of the T&Cs on one page which can be used when submitting a quote to a client. The detailed services and fees need to be inserted in the Schedules attached. The Terms of Business cover the usual professional appointment issues including duration, standard of care, copyright, insurance and a clause limiting liability. 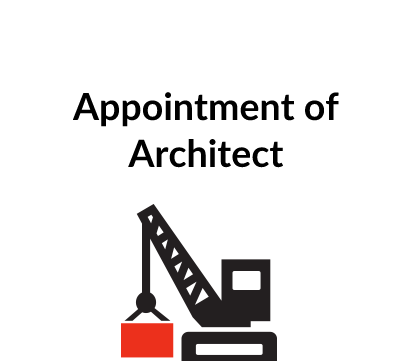 Quantity Surveyors and other professionals often use their own professional institute’s forms of appointment. While these can be useful, sometimes they are not easy for clients to understand. We have developed a template that is user-friendly and has Terms of Business that can fit onto a single A4 page – so much easier than a multi-page document that a client, especially one who is not a property developer, can find difficult to understand. 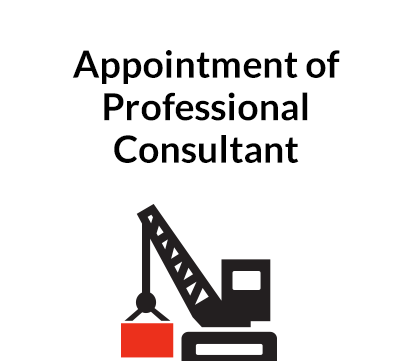 ContractStore’s construction professional appointment has been written by a specialist construction lawyer. 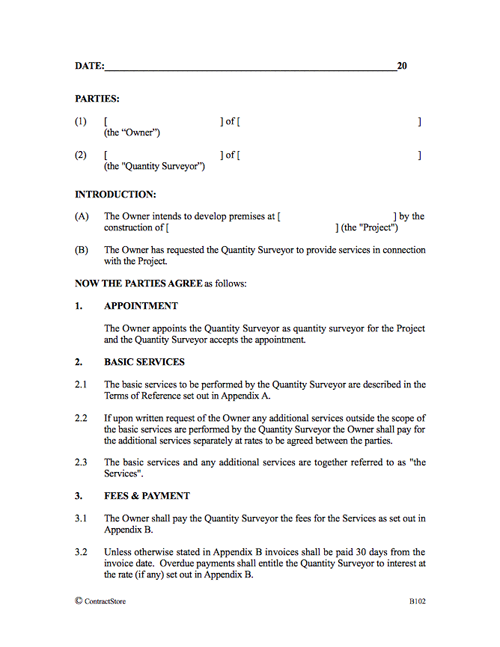 It comprises a one page letter addressed to the client, Terms of Business over 3 pages and two template Schedules, one for the detailed services and the other for the fees and expenses (with sample wording). And the Terms of Business come with a single page version on small print. Paragraph 16 Disputes and Law provides for adjudication – in our case the RICS procedure is used since this is popular with surveyors. Disputes that are not settled by adjudication will be referred to the courts.